A month later, in October 2003, truck driver Chad Stewart was startled by a huge black cat in the Mayfield foothills. The same month the cat appeared again, this time near the Fairton meat works. Several sightings were reported in the Seafield and Pendarves areas in January 2004. In May 2005 Mark Brosnahan met the beast in the foothills area, and Nic Newman came face-to-face with the legendary black cat on the Mt Somers Walkway in June 2005. The last reported sighting came in August last year. 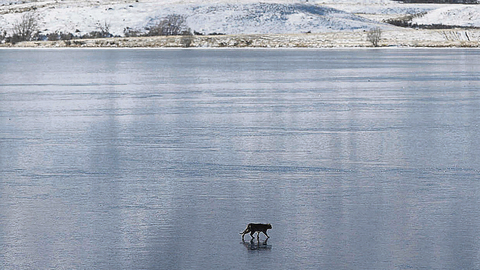 Professional photographer Michael O'Neill captured an image of a large black animal slinking across the frozen surface of Lake Clearwater, providing the clearest photo yet. 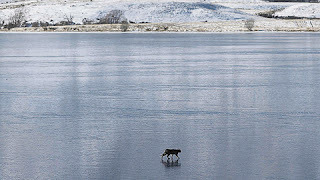 Further afield the cat was seen near Twizel in 1996, two years later a tawny coloured Labrador-sized cat appeared near Cromwell, and Southland residents reported seeing bobcat-like animal in the Mataura area.